OutKast are coming home. Already this year, the reunited duo of André 3000 and Big Boi has lined up growing array of festival dates (check their website for the latest updates), including recent performances at Governors Ball, BottleRock, and Coachella. Now the Southern rap titans have scheduled a concert back where it all started: Atlanta. As Billboard reports, OutKast will headline a September 27 show at their hometown’s Centennial Park. They’ll pick the other artists on the bill, who will be announced at a later date. Tickets go on sale June 18 at 10 a.m. EST via Ticketmaster. The concert has its own website, OutKastATLast.com, which you can check for more details. 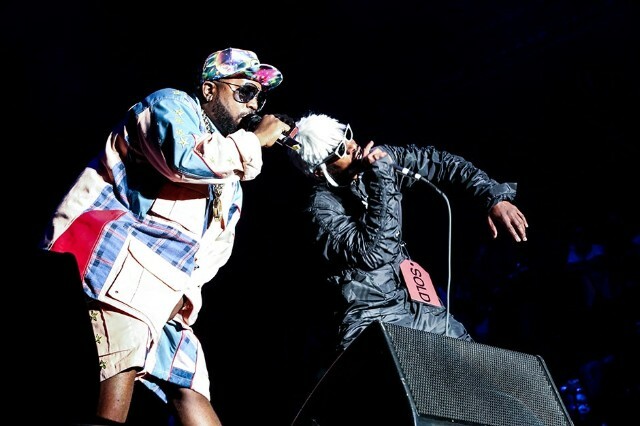 Previously, the closest OutKast came to Atlanta was Rome, Georgia’s CounterPoint Music Festival, where Janelle Monáe joined them onstage for “Hey Ya!,” the crossover smash from 2003’s Speakerboxxx/The Love Below. College Park, East Point, and Decatur, they still got ‘Kast’s back. OutKast’s 2001 Stankonia Cover Story: The End of the Ice Age?